Looking towards the lake and Main Exhibition Gallery building from beneath canopy of Conservation Workshop. Museum and jetties approaching from lake. Ensemble of museum buildings viewed from the main entrance. Permanent collection within the Main Exhibition Gallery. 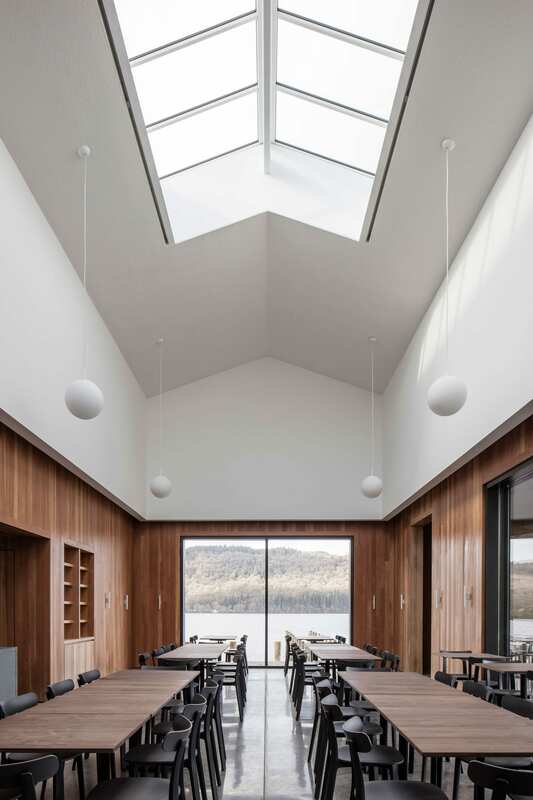 Inside the boathouse looking out towards lake. 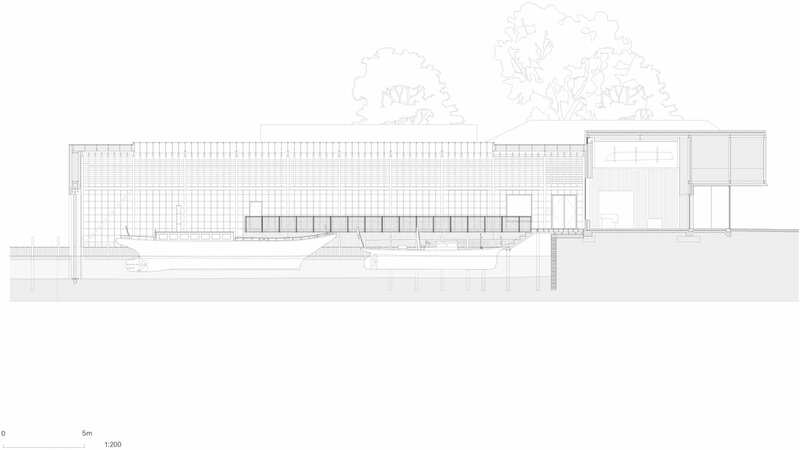 Front elevation of Main Exhibition Gallery and Main Entrance building. Main Exhibition Gallery get-in doors. 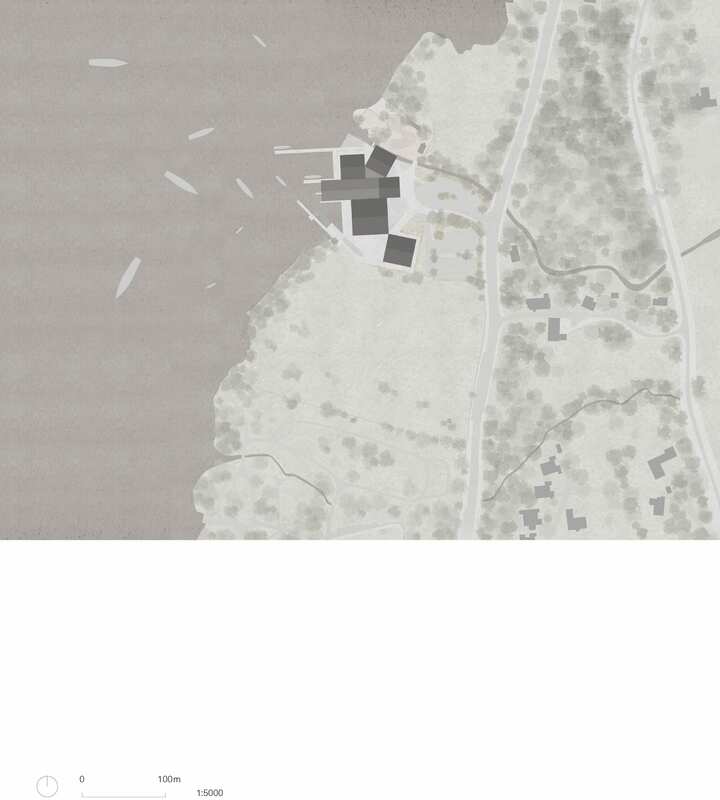 Buildings and jetties approached from the lake. Canopy to the Main Exhibition Gallery Building framing view to the slipway and lake beyond. 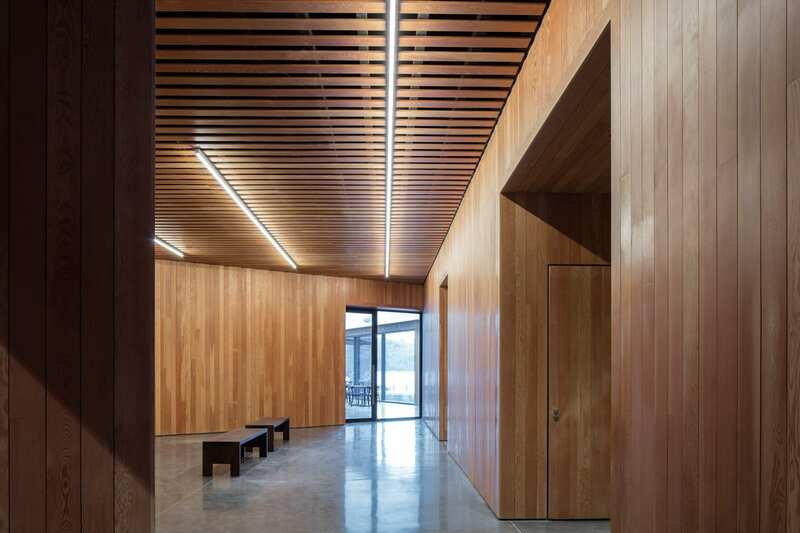 Interior circulation spaces lined in Douglas Fir. View towards the cafe. View from Main Entrance towards Conservation Workshop. 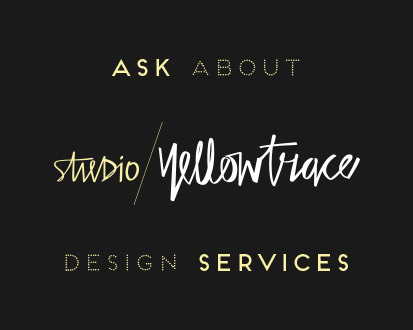 Architectural concept model 1:100. Oxidised copper, wood. 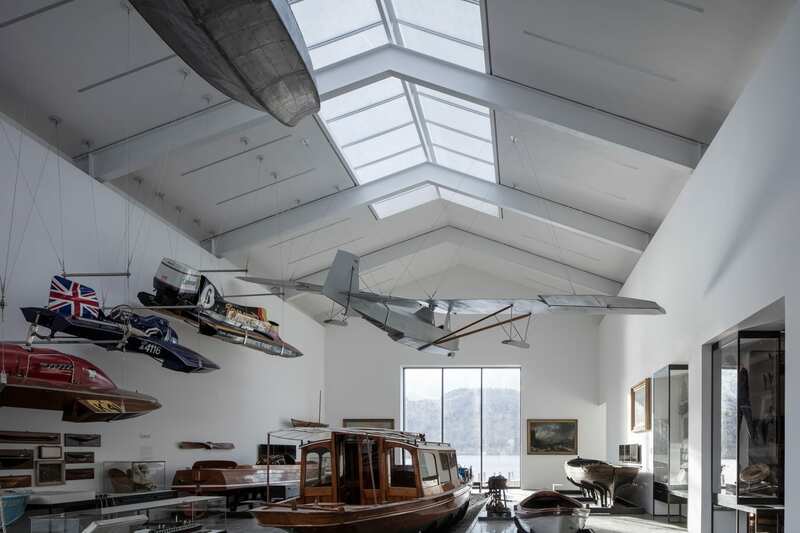 London based practice Carmody Groarke have just completed a new museum that houses an internationally significant boat collection on the shores of Windermere in the Lake District National Park in northwest England. 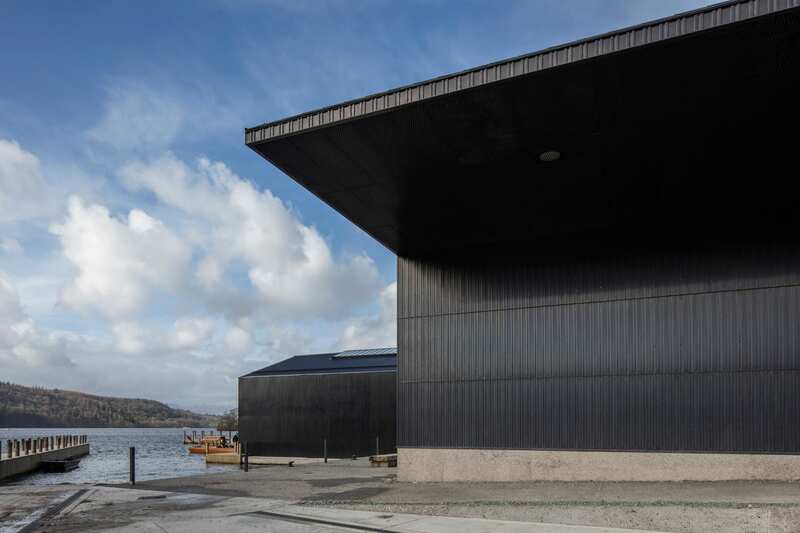 The building includes exhibition spaces for the display of steam launches, motorboats, yachts and other vessels telling the stories of their construction and use on the lake. 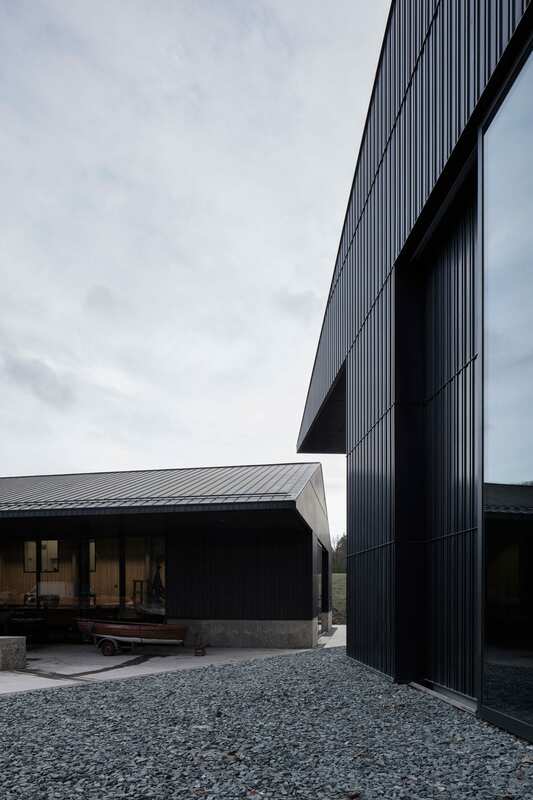 The site repurposes a historic gravel-extraction plant, continuing the working life of the place with an active conservation programme of the boats. 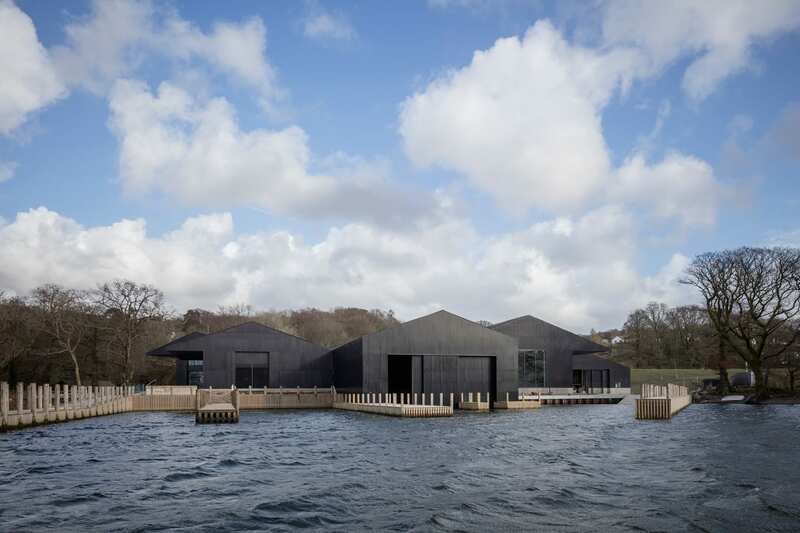 Carmody Groarke have placed an emphasis on the visitor experience amongst buildings in a park landscape that create a connection between people, boats and water, as well as providing a reinterpretation of the site’s picturesque and industrial heritage. 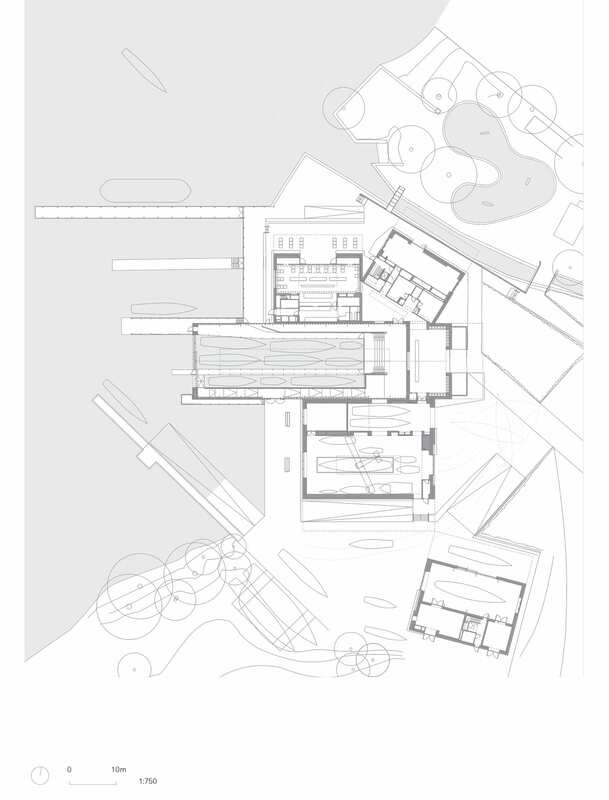 Rather than a singular huge building, a granular ensemble of smaller buildings was a more fitting scale within context. 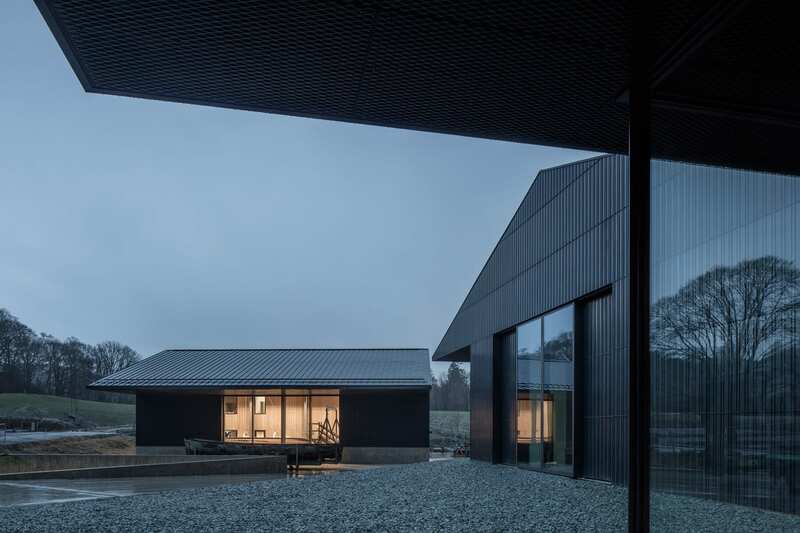 The museum, therefore, has a strong topographical relationship with the land and the water. 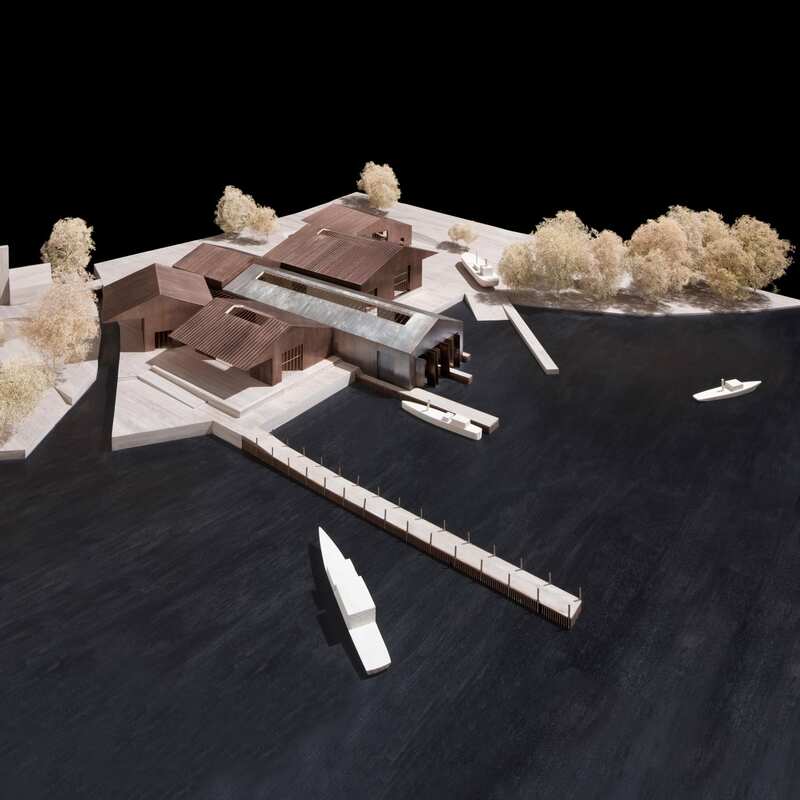 The wet dock forms the centre-piece of the museum and brings the lake into the heart of the experience to present the collection at water level. 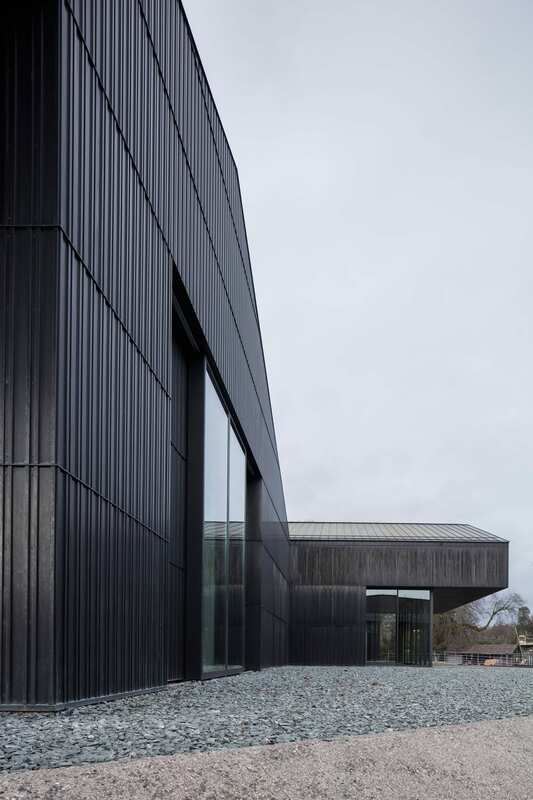 Other buildings that add to visitor experience include the main entrance, conservation galleries, interpretation, education and cafe. 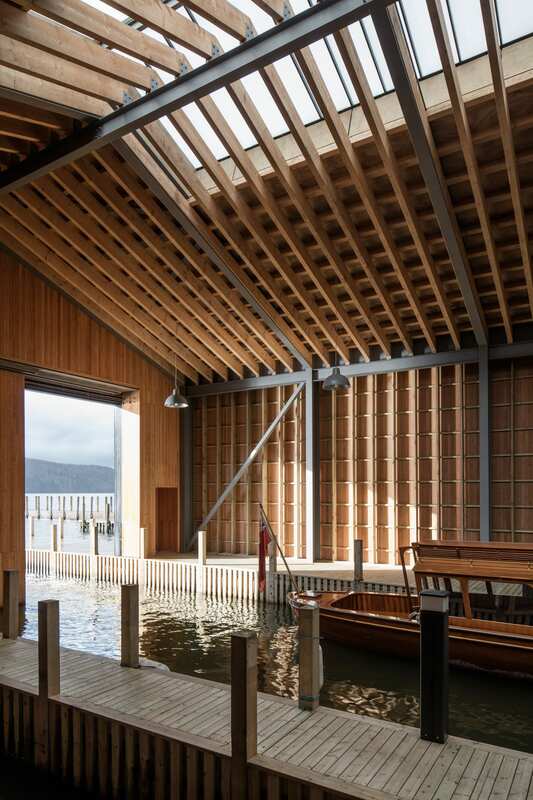 Each cluster around the wet dock, protected from the risk of floodwaters through elevation on a podium. 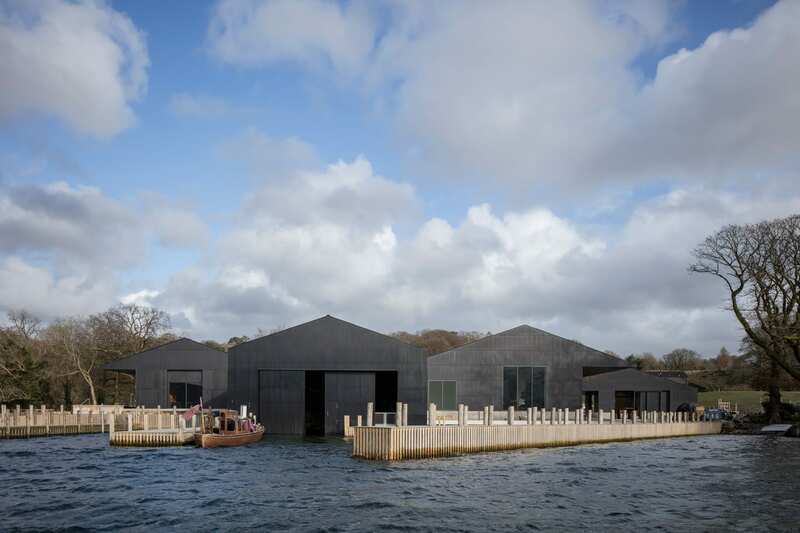 The conservation workshop is a standalone building placed closer to the water level on the working boatyard. 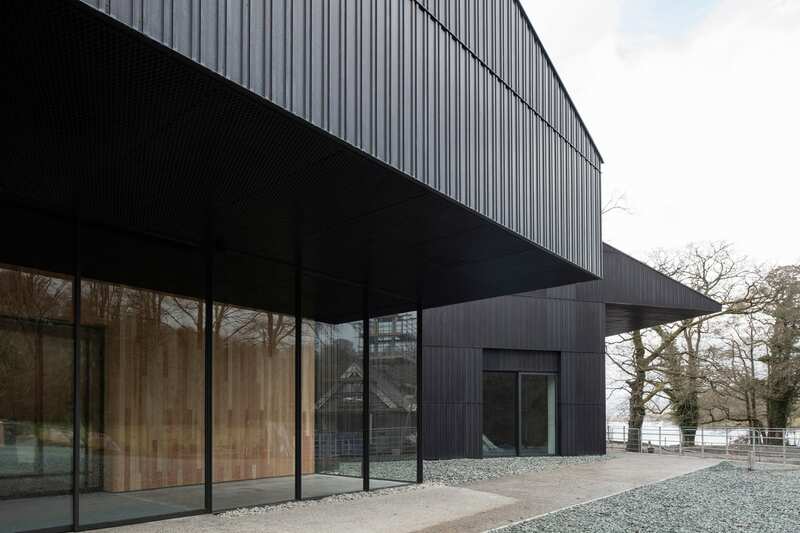 The architectural language of the museum is characterised by the vernacular typology of the roof, taking reference from the pronounced overhanging eaves of Broad Leys grand house on Windermere, as well as more archetypal agricultural and industrial buildings of the Lake District. 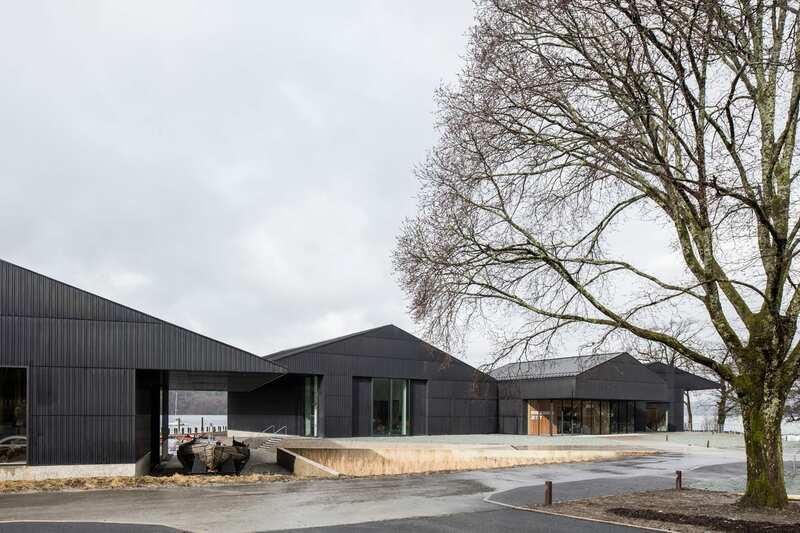 The building forms are somehow familiar, yet made special by the overhanging canopies which extend to the inside spaces with all-weather shelter into the landscape. unique texture, further reinforced by the patina gained by weathering over time. 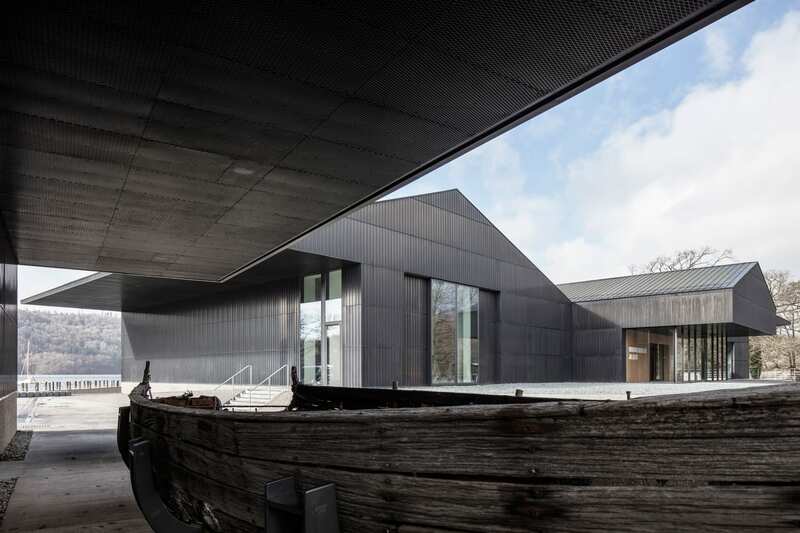 Very large windows and doors enable boats to be easily moved between outside and inside and allows the museum route between buildings to be clearly legible. 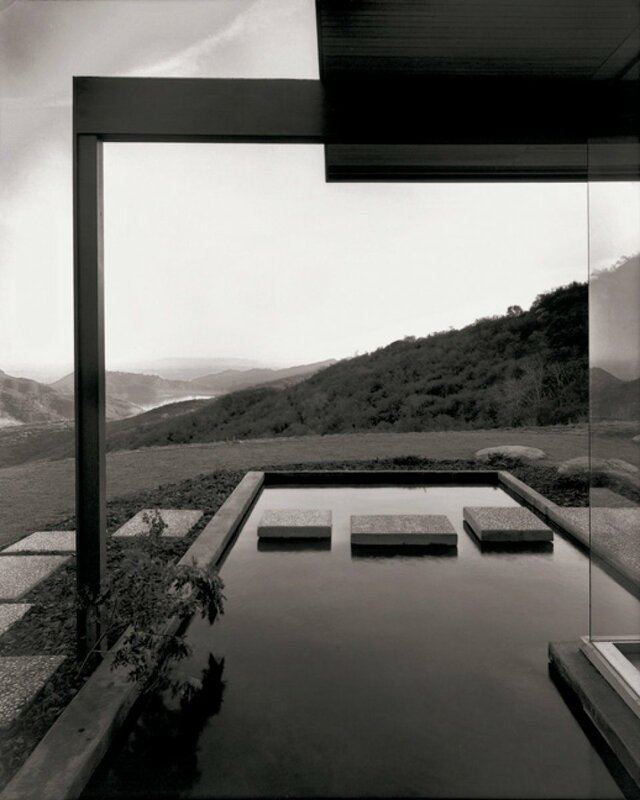 Related: Kevin Carmody’s Territory of Architecture.